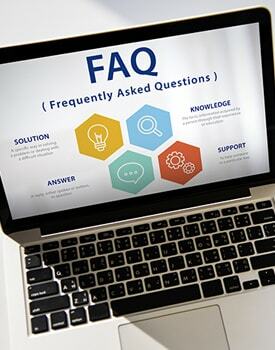 If you’re looking for answers regarding some of our basic policies and procedures, check out the list of frequently asked questions below. You can also review our handbook, which you’ll find in the parent quick links on our Home page. And if you still haven’t found the answers you’re looking for, we’re always more than happy to answer questions in person or over the phone. What is the attendance policy at Bouse Elementary School? Do you have a dress code at Bouse School? What should my child expect in terms of homework? What if my child needs to take medicine during the school day? Do you have a policy regarding medication? We believe that regular school attendance, besides being required by state law, is essential for success in school. Therefore, we will only excuse absences for necessary and important reasons such as illness, bereavement, other family emergencies, and observance of major religious holidays. If you know in advance that your child will be absent, please inform the school. If, on the other hand, your child is absent due to illness or another emergency, we expect a parent or guardian to call the school office. We require students to bring a note of explanation from the parent following any absence. For absences that extend beyond one day, please notify the school each day of the absence. We encourage you to schedule medical and dental appointments after school hours, except in cases of emergency. We also encourage you to consider scheduling family vacations during school vacation and recess periods. For more information regarding our attendance policy, please review the current student handbook. We encourage students to take pride in their attire as it relates to the school setting. Students should dress in a manner that is conducive to a learning environment and that does not present a health or safety problem (to self or others). In the interest of safety, students must wear shoes at all times. For any type of physical activity (such as physical education), students must wear closed-toe shoes. Additionally, students may not wear hats or visors inside any buildings (with the exception of properly approved occupational safety headgear required for special classes). If a student wears a hat or visor on campus, it must be in the original, unaltered condition with the bill facing forward. The principal has the authority to make the final decision on acceptable clothing in all instances. At Bouse ESD, homework does not carry the stigma of punishment. Our teachers send home assignments when it is necessary to address specific instructional objectives outside the time constraints of the classroom. Students, regardless of intellectual capacity, should understand that sometimes homework is necessary in order to facilitate the mastery of a skill. Every student should leave the district with a firm foundation for pursuing knowledge and developing skills on an independent basis. We ask parents to see that your child completes and returns his or her homework. This is one of the best ways to help your child develop responsible habits for future success. We also encourage you to keep open communication lines with your child’s teacher regarding homework assignments. Medicine must be prescribed by a physician. A parent or guardian must provide written permission to administer the medicine to the student. You can find appropriate forms in the school office. Medicine must come to the school office in the prescription container as put up by the pharmacist. Written directions from the physician or pharmacist must state the name of the patient, the name of the medicine, the dosage, and the time we should administer the medicine. The head teacher may designate a school employee to administer the medication. The employee administering the prescription drug will document the event, making a record of the student having received the medication. Drugs must be kept in their original containers in a locked medicine cabinet. For information regarding self-administration and over-the-counter medication, please review the current handbook or talk to your child’s teacher. We are happy to offer bus services for daily transportation to and from school as well as for school events and field trips. Riding the bus is a privilege for those who adhere to our bus safety rules. We encourage all riders—including daily riders, occasional riders, and field trip participants—to review and follow these rules.